Pro Glow Duo delivers real quality sound, not some weak imitation. 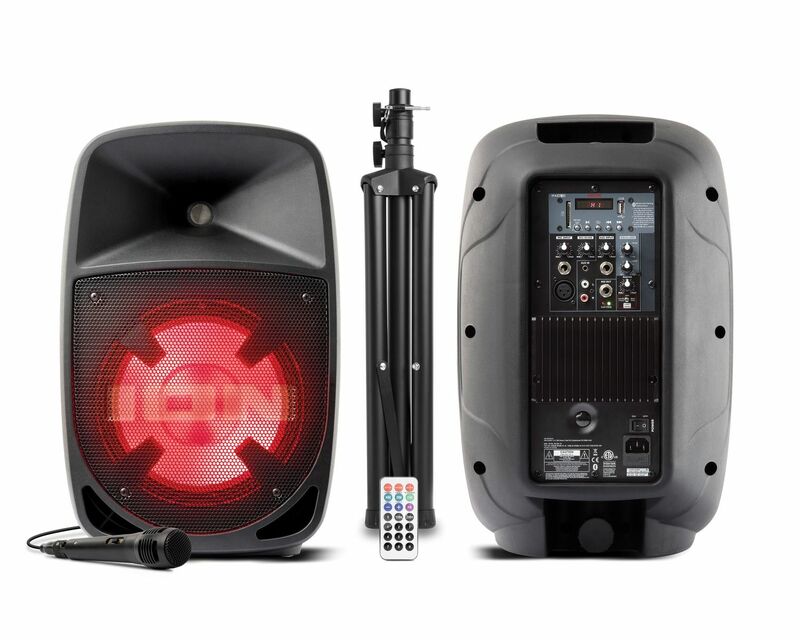 This is a superb all-in-one PA system that has everything you need in terms of powerful sound, versatile and complete hookup/connection capability, convenient ease of use and set-up versatility. Your audience will love what they hear and the powerful 10-inch woofer in each cabinet features LED lighting effects in several colors, so you’ll make a stunning visual impact matched only by the Pro Glow Duo’s sonic firepower. Your audience will love what they hear and they'll love what they see. Each speaker has an impressive 400-watt (200 x 2) bi-amplified, equalized sound system that easily covers extremely large spaces with clear, vibrant sound. Their multi-channel mixers each have a mic input and aux/line input to let you switch between any source you want. You can stream music from any Bluetooth® device, use the built-in music player to read music files using the USB port or SD card slot. The included microphone puts you in charge of the action and has Echo Effect for great Karaoke. It even includes two tripod stands that elevate each speaker to the perfect height.